For the last 24 years, Trac Stephenson has been in his truck and headed to a job site before the sun rises. A hard working man providing for his family anyway he can. From installing siding and framing houses to managing crews and running multiple companies simultaneously to make a living. Stephenson has worn many hats in the construction industry and he paid attention to the problems his industry faces every step of the way. 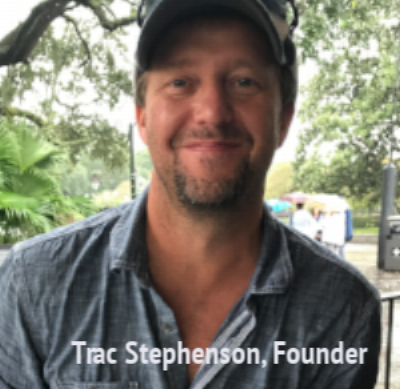 While working in the trenches, Stephenson took notes and crafted an app to make life just a little bit easier for the over 10 Million folks working in the construction business. Stephenson has seen a lot of problems with the way the construction industry operates. From workers finding jobs by driving around from one job site to another, to lack of communication to all participants on projects, to the problem with old-fashioned payment method of paper checks and the challenges with getting those checks cashed for millions of construction workers. Most builders pay their contractors after the job is complete, but the contractors need to pay their workers before they get paid from the builders. A financial stumbling block for the industry, which is why Stephenson created his platform. Launching fully in January of 2019 on iOS (already in beta), Android and web, BUILD1x will provide the construction industry with a real-time ability to financially manage, hire and communicate during construction projects more efficiently.